Aeneas Wilder: exhibitions Untitled # 147/148, Pictura, Dordrecht, The Netherlands. 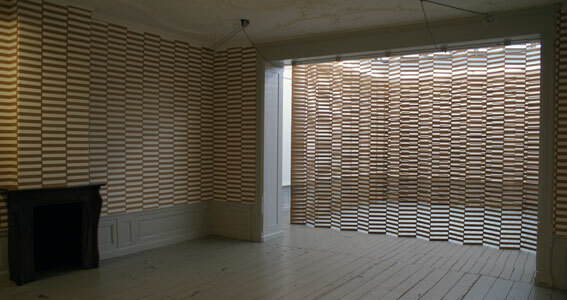 1st May - 21st May, 2010,Pictura, Dordrecht, The Netherlands. The exhibition space at Pictura is divided up in to two open rooms, one with a full skylight an the other with a fireplace and ornate ceiling. The ornate room with fireplace was covered in paper parcel tape. 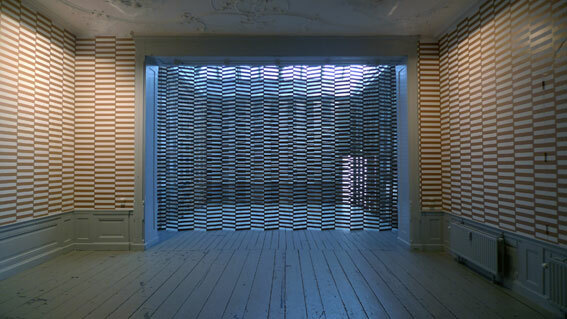 The skylit room contained a free standing structure made from stacked wood.